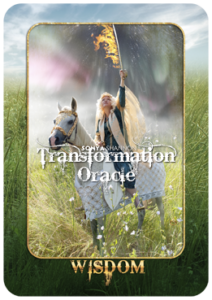 My first class with the Transformational Oracle Cards was in the winter of 2015. I knew in my heart when I learned about the possibility of being a reader that this was my modality, and that I would be a reader for wandering seekers of transformation. Sonya starts the class off by asking us, the “light beings” she so fondly refers to us as, to pick a card for the intention of the class. The card that was gifted to me was the JOURNEY card! The first card in the whole deck! Cool, right? Think about it, this is my first card: my kickoff card! Earth, the grounding sensual elements of home and abundance, laced in a ribbon of gold to support my journey. There I was standing on the precipice of growth, production, and harvest. This card was showing how I was recycling my own life, finally coming home! 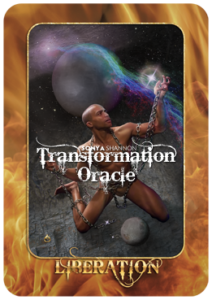 This amazing card is the foundation of my transformational Journey. If you think, “it cannot get any better,” you would be remiss…. How can it get better, you ask? My faithful companion, my psychopomp, is right beside me. Helping to cross that veil into the spirit world for deeper insight as I do readings. My dog Sara, who has crossed over the Rainbow Bridge, still guides me — I was informed by a pet medium. SURRENDER in the water element has also graced my spreads and resonated with me letting me know I am not in control and shines the spotlight on my lower self-reminding me to “surrender” and let go to the universe. Things never seem to happen the way I may have planned, hoped, or wanted them to. Instead, by surrendering (of course without me knowing until thinking about it as I write this) I was blessed with amazing gifts. I was not being true to myself in a business partnership that was toxic. After leaving, this partnership the gift of being a powder cat ski guide job at Grand Targee ski area was put into my lap. Surrender again graced me on a trip to Italy. While trying to find the small town we were staying at and the B&B, Helen suggested “Just stopping” at this random shop for help—after two hours of trying and aimless driving. At this shop we found a woman who knew the place we were trying to find and the phone number. She had gone to school with the owner of the B&B. She immediately called him up and made arrangements for us to meet so we could get to our lodging. When this card comes up I am reminded to sit back and let Jesus take the wheel. I am in the hands of the Divine—and who better to help chart my course on the Journey?! The WISDOM card in the air element helped transform my confused ruffled thoughts of others ideas of what I should be. This card gives me the wisdom to stand in my own power. My path was revealed to me after surrendering and having faith. 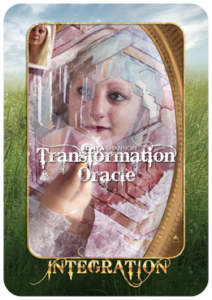 Such as this path to be a reader of the Transformation Oracle, releasing my old pattern of self-doubts placed on me by others. Others told me I could not be on Ski Patrol because I could not ski. Others told me I would never own my own house. Others told me that being a union carpenter was too tough for a woman. I ski Patrolled for 20 years. I purchased my own home in 1993 and my condo in 2009. I was a union Superintendent of commercial projects for 8 years after finishing the Union apprenticeship program and being a journeyman carpenter for 8 years. The premise of this card really speaks to me, letting myself know what I know and stand in my courage to have faith. INTEGRATION, also in air, consolidated my conflicting desires, stopping the escapades of shape shifting my life’s path. The Integration card helped me to consolidate my past beliefs of relationship and love in my wholeness which was another broken belief system I was clinging to. Some of these included my parents broken marriage vows with my father leaving my mother after 18 years of marriage for another woman, and the church telling her that their union could not be resolved in the eye of God until one of them died so my mother tried to shoot my father to resolve the marriage in the eyes of God. I have been shedding this story for a long time. I finally realize this story is not me and I release it. The idea of a promiscuous father and promiscuity being love was a practice that I followed trying to find love in someone else, on the psychical plains—not realizing that love was in me. I own all of these past mistakes. I realize that all the behaviors are me and have made me whole and who I am, in loving partnership with my beloved with whom I share my life now. My life has been filled with numerous guided transformational experiences. The practice of stilling my mind and going within to put my ego aside and letting the higher power of the cards come though has enhanced and deepened my transformation. 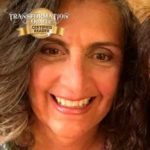 This practice has deepened my understanding of my own transformational journey. My life’s path has been slowly unfolding right before my eyes. 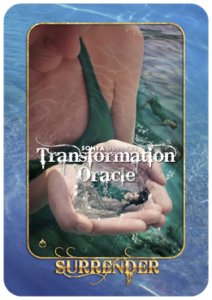 The Transformation Oracle cards are just the beginning to my journey to serve others. I have finally seen into the journey of my soul’s winding and never ending path. This journey of heart, soul and service has taken me deeper into my spiritual path to freedom and gratitude for the blessing this physical plane has for me. Coming full circle, taking this journey and surrendering to be liberated I have integrated all the parts of my past to be my whole self in my Wisdom. My last card I picked to start a class was CELEBRATION—the very last card in the whole deck! Something I do everyday of my earth bound experience. 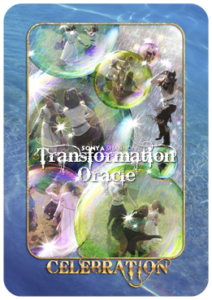 Check out Cynthia’s research on Transformation Through the Elements. 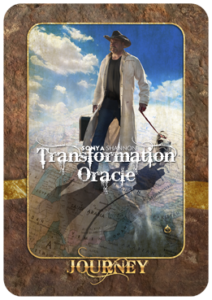 Learn how you can become a Certified Transformation Oracle Reader like Cynthia Santana! 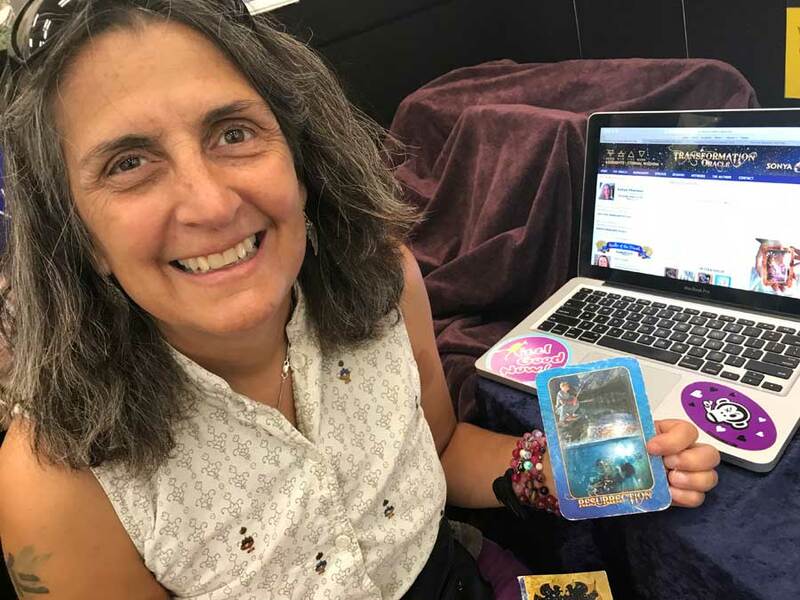 Cynthia Santana, Certified Reader interpreting cards at the BMSE Metaphysical Fair, Denver 2017.